When Jill finds a rusty sword tip on a Caribbean beach, she is instantly intrigued—and little expects it will transport her through time to the deck of a pirate ship. Will a dark enchantment, salty kisses, and a duel with an evil pirate captain leave her stranded in the eighteenth century forever? Drawing on piratical lore and historical fact, Carrie Vaughn creates a vivid world of swaying masts and swelling seas, where blood magic overrules the laws of nature, romance is in the air, and death can come at the single slip of a sword. 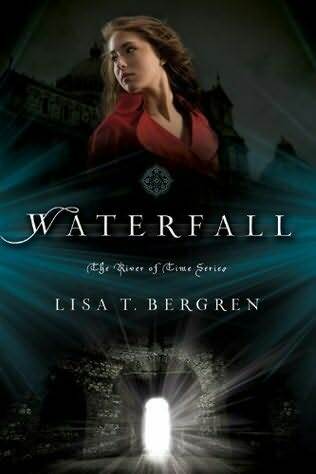 Oh my gosh, time travel, romance, and pirates? YESGIVEMETHEBOOK!!! Hello salty kisses! I love the sound of this book. I’m curious to see how much historical fact is in this book, and if I’ll be able to separate fact from fiction. In the late seventeenth century, famed teenage pirate Emer Morrisey was on the cusp of escaping the pirate life with her one true love and unfathomable riches when she was slain and cursed with "the dust of one hundred dogs," dooming her to one hundred lives as a dog before returning to a human body-with her memories intact. Now she's a contemporary American teenager and all she needs is a shovel and a ride to Jamaica. What can I say, I love a good pirate story! I’m really intrigued by the curse and how her lives as dogs will play into the book. I’m also hoping for maybe some funny scenes as she adjusts to life as a contemporary teenager while still retaining her memories (and goals) as pirate after treasure. From the description alone, my heart is already breaking at the idea of her losing her one true love. Or does she? This book sounds like nothing I’ve ever read before. Have any of you read it? What did you think? Both good choices. Dust of 100 Dogs really intrigues me because it sounds so different. I remember I added Steel to my wishlist as soon as I saw the cover and found out it was about pirates. I hope you get around to reading The Dust of 100 Dogs since it sounds like a fun read too. Oh, man! Now I'm drooling over these books...they sound great! I'm really interested in Steel. I've never read a pirate book so this would be perfect to start with. Thanks for sharing some awesome finds! 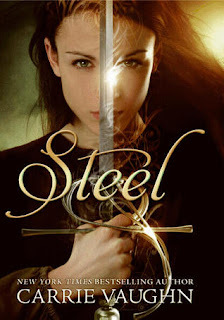 I'm not sure about Steel, but I've seen pretty good reviews around so I'm curious to hear what you think of it:) The cover at least looks awesome! Wow, Steel looks awesome! Great choice. I may just have to see if I can find this as soon as it's out, or order it online. Here's my pick for this week! Steel is only one week away? I didn't notice that! And a pirate story! Yay!Thanks for that! It sounds interesting too. I haven't read anything that Carrie has written. Steel might be my first try of her books. I can't wait to read Steel as well! I cannot wait for Steel! I haven't read anything by Carrie Vaughn, but I'm really looking forward to starting with this one. Fantastic picks! 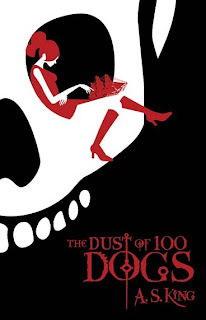 I've been wanting to read Dust of 100 Dogs for a while now, but I've just never bought it. It looks like a great book. Great choices this week! Feel free to check out my WoW here. Pirates! Yay! Got get this one. The Dust of 100 Dogs was great, I have to get her latest book. STEEL! Pirates and time travel and SWORDS! Gimme gimme gimme gimme. I'm so excited for Steel! I loved her Kitty Norville series, hope she makes the transition to YA well. Steel sounds awesome! I can't wait to read it! Both these book sound awesome but I am SUPER excited about Steel. Even the name rocks! Steel has been on my wish list for a while, can't wait to read it! Good picks. Thanks for sharing! I'm not sure about the Dust and Dogs one but Steel sounds awesome and I love that cover. I'm waiting for Steel, but I'm having mixed feelings about it with everyone anticipating it. I'm scared it won't live up to the hype. But I've had The Dust of 100 Dogs on my radar for a long time. 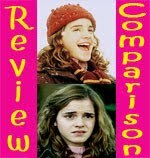 I read one bad review and it scared me off. I'm going to check it out from the library this week and read it. I loved the premise and think it sounds like fun. 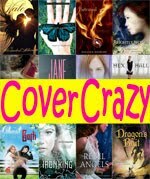 You did see the pink cover of Hex A Witch and Angel Story with the Red headed Witch on it didn't you? 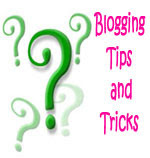 I think you made a comment but I just wanted to make sure you knew, the whole book is pink! OMG! I totally forgot about Steel! Gosh, this year is flying by. 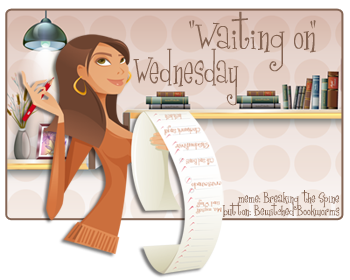 All the books I've been waiting for have publishing dates just around the corner. I love that we both were drawn to salty kisses - love it! Definitely will be adding this to the wishlist.